Don’t Just Take Our Word, See What Others Have To Say About Us! Client satisfaction is our priority and that is why we are committed to raising the bar of excellence for each event we do. Specializing in contemporary & modern style wedding receptions and private events, you can be sure your special occasion will be one you’ll always remember. It is our number one goal to achieve a perfect 5-star status because that is what our new clients look for before hiring an entertainment company like us. Aiming to exceed your expectations and make sure you are thrilled with our services is exactly what we strive for! Our track record proves it. 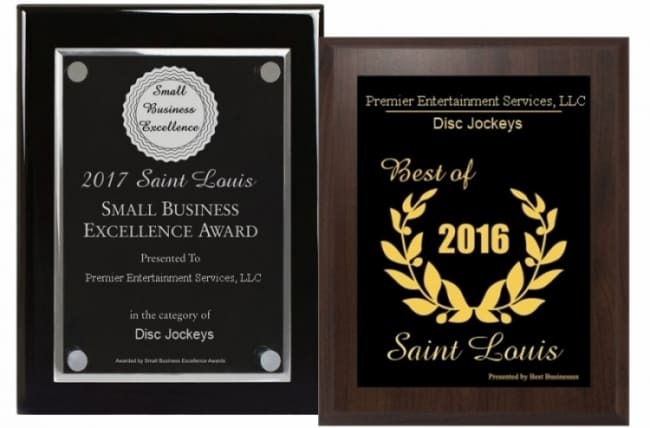 We were very happy with our experience with Premier Entertainment!! Chris is very professional and made our day all about us by going above and beyond to deliver the best experience with lights, sound and photo booth. We wish that we could give higher than a 5 star review. We created a timeline on his website. It showed great benefit, was user friendly and afterwards we had a phone meeting to discuss all of our selections. Chris always kept us informed with the timeline and when he was getting ready to begin things on the schedule. He always asked our opinion on music that was requested and gave us his opinion when we weren’t sure. He knew exactly how to keep people on the dance floor. Kristinia, our photo booth attendant was amazing. She helped everyone with the photo booth and provided each person with a shot of their photos. Our guests loved it! At the end of the night she gave us a scrapbook with every photo that was taken that night. They both were absolutely fantastic. Choosing Premier Entertainment Services was one of the best decisions we made for our wedding. We highly recommend them because we know you will not be disappointed. Thank you again Chris and Kristinia, you both were phenomenal!! We had Chris Abell DJ our wedding and he was worth every penny! 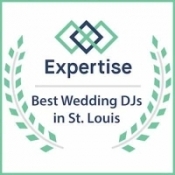 Everyone I have talked to since the wedding has commented on how great our DJ was. We had a moment during the ceremony where the song was about to run out of time before everyone got down the isle and Chris looped the song perfectly on the spot and saved the day. His set up at the reception was amazing. Very classy/fun and not over the top. Chris himself is very kind and professional. Don’t waste your time looking for any other DJ. Book Chris and you are getting the best of the best. 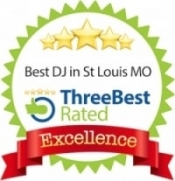 I would recommend him to anyone looking for a DJ! My wedding was everything I wanted it to be and more! All my guests were dancing all night long to their favorite hits, including my parents and their college friends! It was so wonderful to see how everything turned out after planning for so many months with Chris and his team. For those of you looking for a balanced mix of professional and fun, you have definitely found the right guy! I chose Chris as the DJ with all his lights and the fantastic set up (looked like a real dance hall) and I also used the photo booth that gave guests a complimentary photo strip to take home on the day! Planning the wedding was made SO MUCH easier thanks to Chris’s website. I was able to add and change timelines (which is crucial when planning since all vendors go by this timeline). I also didn’t really have to have a formal meeting thanks to the streamlined website. Dont get me wrong, I was freaking out months before and asked for Chris to meet with me and he did. We showed up and I realized I didn’t have anything to justify the meeting. I apologized and he was super supportive and said it was alright (with a smile). He understands how stressful weddings are and really helped streamline everything for me. With all the other vendors out there, I can’t imagine a better choice! Literally my guests can’t stop talking about how amazing this DJ was! Great music and made the night feel so much fun! Chris was a joy to work with and always kept in touch up until the big day! He really knows how to make sure your big day is perfect from start to finish with anything. The photo booth also was a hit! The guests loved it and we love the album we received at the end. Great memory for us! Would definitely book them for any future event!! Made my wedding a night of fun, laughter and dancing our feet off! Chris was our DJ for the evening and he was exactly what we were wanting in a DJ. He played music that we had requested and found additional songs that were not readily in his system for our ceremony. Also, we wanted to keep the party going, he was ready and willing. He allowed us to have a slideshow during our Father/Daughter dance and kept our timeline while being flexible when we needed him to. We really enjoyed the online system so we could put in songs that we would like during the different times of the evening. I would recommend Chris and all of his services! Brock was incredible!! He catered to every need and even pitched him to help with other things throughout the night. It is not always easy coordinating vendors and Brock was very accommodating with last minute changes! I was so happy and could have danced all night long if the venue would have let us! Highly recommend! From the very beginning, Chris with Premier Entertainment was so helpful and professional. We were so pleased with the online planning tool. It made planning so much easier. When it came to our reception, Chris was hands down, the best decision we made. He was there for us and helped make our reception one that everyone would remember. We bundled in the confetti canon and all of our guest (especially the kids) have been talking about it since. You will not be disappointed if you chose Premier Entertainment Services! The dance floor was absolutely packed! All night we received (and are still receiving) compliments on the DJ and how much fun our guests had. I would recommend Premiere Entertainment to absolutely anyone! Our reception would NOT have been the same without them!